Mirova is pleased to announce it will take an active role in the upcoming Paris Infraweek 2017 to be held on 16-20 October 2017 in Paris. Coordinated by Paris Europlace with the support of the French Ministry for Economy and Finances, several local and international financial institutions and professional associations, this full week of must-attend events is meant to bring together the most influential players of the infrastructure investment industry for an open and thorough dialogue on developments and key trends in Infrastructure Finance. Therefore, Mirova is proud to be partner, sponsor and organizer of the following events and look forward to meeting you there. Paris Europlace International Infrastructure Forum, 16 October at the French Ministry for Economy and Finances: The Minister in person will kick-start the Paris Infraweek 2107 with an opening speech in the presence of top infrastructure developers, infrastructure fund managers, institutional investors, followed by several cutting-edge debates including one on ‘Sustainable finance for green infrastructures’ (18:00 – 19:00) chaired by Mirova’s Chief Executive Officer, Philippe Zaouati. InfraNews’ European Infrastructure Finance Summit, 17-18 October at Maison de l’Amérique: This market leading two-day conference features lively panel discussions, keynote presentations and industry interviews, as well as a number of networking opportunities. Hear from over 50 speakers distinguished in their fields as they address the most pressing issues facing infrastructure investors. Gwenola Chambon, Head of General Infrastructure Funds at Mirova, serving as moderator for the panel on ‘Broadband: Funding the new core infrastructure’ (Day 2: 10:15 – 11:00). Mirova Sustainable Infrastructure Forum, 19 October at Châteauform’ City George V: Leveraging on Mirova’s Responsible Investing Research, Renewable Energy and General Infrastructure capabilities, this forum aims to provide the broader context of the place of sustainable infrastructure in the new global agenda, the state of play of ESG in infrastructure investing, how the different players of the infrastructure investment value chain in setting sustainability standards for better infrastructure development and financing. The event will also feature the presentation of an impact and carbon footprint assessment methodology for infrastructure projects (10:30 – 14:00). 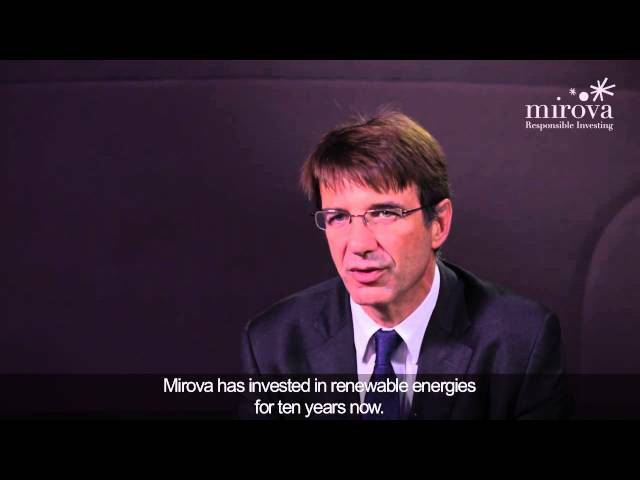 Mirova Roundtable: Adressing the French small-size PPP market, 20 October at Maison de la Chimie: SMEs hold a fundamental role in contributing to economic growth and employment in France. The public sector is a key market for these small businesses, so improving our public procurement practices, in particular for local infrastructure projects, by removing obstacles and boosting the involvement of SMEs is a key priority. Hear out more about this matter from public authorities, industry associations, institutional investors and the official presentation of BTP Impact Local, a mission-driven infrastructure fund dedicated to French small-size PPP. A closing address from the French Secretary of State for Europe and Foreign Affairs, Jean-Baptiste Lemoyne, will spell the end of the 1st edition of the Paris Infraweek on this occasion (11:00 – 13:00).